Ruth E. Bessolo, age 56, a resident of Calumet passed away peacefully on Friday, September 14, 2018 at the Lighthouse at Hubbell. She was born on September 7, 1962 in Calumet to Carlos and Martha (Kipina) Bessolo. Ruth loved spending time with her family, and especially loved their trips to Indiana. She was a member of St. Paul the Apostle Church in Calumet. She is preceded in death by her parents, Carlos and Martha, brother, Carlos, nephew, Charlie, Brother in law, Ronald Osmialowski, a great nephew baby Cristopher Osmialowski, a great niece, Larissa “Lacey” Bendrat, and best friends, Chrissy “Chrissy Cakes” Gibson, and Barbie Kettenbeil. And numerous nieces, nephews, cousins, great nieces, and great nephews. The Funeral Mass for Ruth will be held on Friday, September 21, 2018 at 10:00 am at St. Paul the Apostle Church in Calumet with Father Abraham Mupparathara to officiate and Deacon Art Stancher to assist. Friends may call at the Erickson Crowley Peterson Funeral Home in Calumet on Thursday, September 20, 2018 from 5:00 pm to 8:00 pm, a parish prayer vigil will be held at 7:30 pm. A special thank you to the entire staff at the Lighthouse of Hubbell for the excellent care they gave Ruth during her stay, and also a thank you to Aspirus Keweenaw Hospice for the care they gave to Ruth and family during their time of need. A special thank you to Dr. Jerry Luoma and Dr. Michael Luoma for taking care of Ruth during her life. 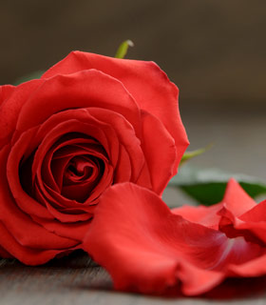 To send flowers to the family of Ruth E. Bessolo, please visit our Heartfelt Sympathies Store. With our deepest sympathy, we will miss her smiling face and tight embrace. Your family is in our thoughts and prayers. So sorry for your loss,i will miss ruthies smiling face .my thoughts and prayers are with you. Rest in peace sweet Ruthie! Enjoy that heavenly dance! Sending you our deepest sympathy on the loss of Ruthie. Praying that you are comforted by your memories, and strengthened by the knowledge that our Lord will see you thru this difficult time.